What Will It Take For Me To Get In? 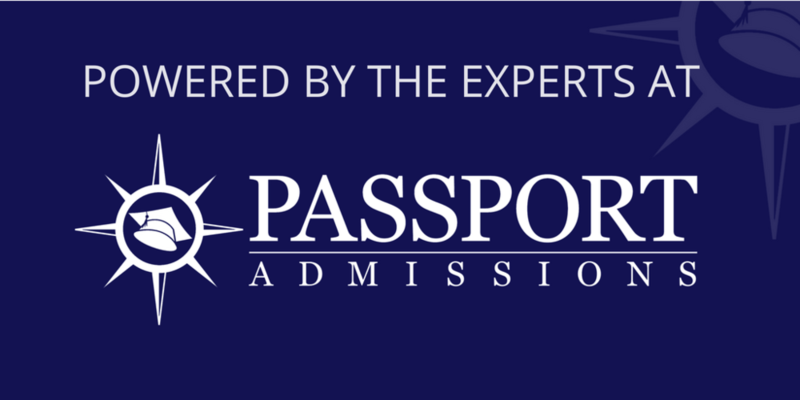 - "The Teacher"
In part two of our new series, the experts at Passport Admissions will be analyzing a student’s application, including both the applicant’s chances of getting accepted into medical school and which aspects of his or her story to highlight. We’ll also give strategies that we recommend to leverage the applicant’s personal strengths and experiences. The result is very similar to the analysis that we do for our one-on-one students at Passport. We hope that it’s interesting to read and that you can take some of the strategies that work for others to apply to your own application. Would you like to get our take on your application? While we can’t promise we can get to everyone’s application, you are welcome to submit your application. George attended the University of Texas at Austin, where he majored in Chemistry and held strong research experience and teaching assistant positions. After completing his undergraduate degree, he went on to become a Corps member of Teach for America, where he is currently a founding teacher of a newly opened college prep charter school serving underserved students. He is also enrolled in a Master’s program in Education at the University of Nevada, Las Vegas. Letters of Recommendation: How well do your two science professors know you? How would you rate your writing skills? How would you rate your interviewing skills? What is your admissions goal? The unique perspective that being a teacher has provided you on your journey to becoming a physician. Your communication skills and knowledge of underserved populations. The transferable skills from your research and education background that apply to medicine. Why you want to change your career from a teacher to a physician. Why you are now ready to commit yourself to studying medicine. Strategy 1 - As a nontraditional student, convey your motivation and interest in changing your career path to medicine, specifically in your personal statement and essays. You majored in chemistry in undergrad and are now pursuing a master’s degree in education, so you need to convince the admissions committees about your passion for medicine since it may not be obvious. Quell any doubts about your serious interest for medicine in your personal statement. Explain in your personal statement how you’ve eliminated other career options. Why is medicine a better fit for you than a career in education? The average pre-med does not have experience with career paths outside of the medical field, so you should describe what you’ve learned about yourself through being a teacher and why medicine is still the right choice for you. Discuss how your life experiences enable you to bring a unique perspective to the medical school class and the health professional team. How is your master’s degree in education relevant to medicine? Mention specific stories about how your communication, organization, management, and leadership skills with students can also be applied to patient interactions. Strategy 2 - Address your low/average GPA, and apply broadly to medical schools. According to this AAMC grid for applicants and acceptees from previous application cycles, the acceptance rate percentage for applicants with your GPA, MCAT score, and race/ethnicity is 40.3%. Your MCAT score is strong, but your GPA is on the lower side. It is difficult to predict which schools will interview you, so you should apply broadly to a mix of allopathic (MD) and osteopathic (DO) medical schools. Nontraditional students often face the challenge of convincing the admissions committees that they are ready to transition back into the medical school classroom. Because you have taken a break in your science courses to teach and enroll in a non-science graduate program, you should mention your interest in returning to the classroom as a student yourself. Discussing your specific research projects is also a good way to mention your critical thinking and reasoning skills, as well as your strong interest and involvement in a science lab. Strategy 3 - Get more clinical exposure during your gap year. Start becoming involved in additional clinical experiences (ex. volunteering, EMT, scribing, phlebotomy, shadowing, etc.) and continue these experiences throughout your gap year. Taking the initiative to become more immersed in clinical settings (either outpatient or hospital) will show the admissions committees that you are interested in gaining additional experience working with patients. Since one of your goals is to be accepted into an osteopathic school, shadow a DO physician if you have not already done so. Observing a DO and learning about osteopathic principles will indicate your interest in osteopathy and will make DO schools more likely to consider you as a serious applicant. Part of the reason that medical schools will consider accepting you is your diverse set of experiences outside traditional medical careers. Think about the perspectives you’ve developed by being a teacher that you will be able to share with your medical school class and future physician colleagues. Leverage your strengths in understanding how to teach complex topics and connect to diverse, underserved populations. Older PostHighly Recommended: Take the Quiz: Where Do You Stand on Healthcare Issues?